Dominique Servant is a clinical psychiatrist and manages consultations in stress and anxiety at the Lille University Hospital. 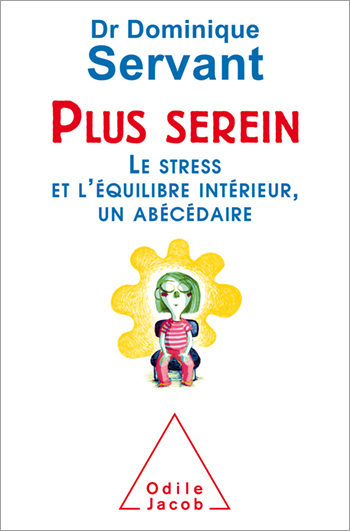 He is the author of several highly-regarded works on stress, all of which have become classics: "Treat Your Own Stress and Anxiety" (50,000 copies); "Relaxation and Meditation: Find Your Emotional Balance"; and "Don't Crack Up At Work". He is the founder of the website www.soigner-le-stress.fr. He lives in Lille. Who can ignore stress? We all aspire to avoiding stress or controlling it, even to the point of turning it to our advantage. What are the remedies that work? Which methods of the body or the spirit can really help us? Should we be turning towards the wisdom of the Greek philosophers, to psychology, medicine, oriental medicine, alternative therapies, or to the exercises in happiness that are on offer today? There are a thousand small things that can be done, at work and in our everyday private lives, to limit the effects of stress and to create less for ourselves. This is what this book is suggesting in the form of a how-to guide: everything you need to know about stress, complemented by inner balance exercises which you can easily practice alone. Both mind and body benefit from these stress-management resources.